have you ever meet the ghost appear in front of you? Look at some think strange in the center of the picture. Is it true that this is a ghost picture? Yes depends on my opinion this is the real picture of shadow ghost. 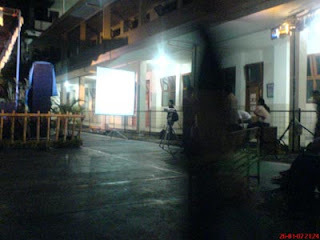 Yes it is true that this ghost picture can be the manipulation of the camera photography, but I believe with shadow ghost. It is just appear as the shadow of a human, but it is not a human. It is not so scary, but I can prove that I have ever watch the real ghost like this.